With the demand for property being high, it is important that before you enter into a lease agreement you are aware of your rights, duties and obligations. This will allow you to minimise any disputes that might otherwise arise between the landlord and the tenant. Both parties need to understand and respect each other to have a fruitful business relationship. A lease agreement is an agreement between a landlord and a tenant which allows the tenant to enjoy occupation of the property in return for the payment of rental. Lease agreements are normally in writing, but an oral lease agreement is also valid. Before you enter into a lease agreement you need to familiarize yourself with all the risks involved and consider carefully whether or not to conclude the agreement. 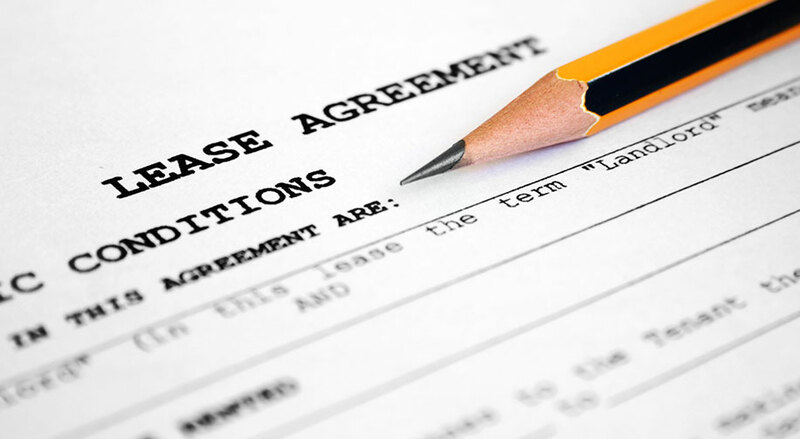 WHAT ARE THE MAIN TERMS OF A LEASE AGREEMENT? The lease agreement must identify the landlord and the tenant, the property to be leased, the amount of rent to be paid by the tenant, the duration (period) of the lease, when the rent is payable, the consequences of failure to comply with the terms of the agreement, and the terms and conditions for termination of the contract. Most lease agreements are for a fixed period (e.g. one year), which means that it will expire at the end of that period, and the parties will have to enter into a new lease agreement after that. When the lease is for an undetermined period (a ‘periodic lease’), the party who wishes to end the lease must give 20 days’ notice to the other party of his intention (required by the Consumer Protection Act No. 68 of 2008). The landlord may require the tenant to pay a deposit before moving into the premises. The deposit is intended as security for the landlord to cover any outstanding rental, repair costs for any damages to the property caused by the tenant, and replacement of any lost keys. Therefore before a tenant moves into a leased property, s/he must inspect the property with the landlord and make a list of all defects, and this list must be attached to the lease agreement. The landlord must put the deposit money into an interest-bearing account for the period of the lease. WHAT ARE THE DUTIES OF THE LANDLORD / LANDLADY? To ensure that the leased property is clean, habitable and available to the tenant on the agreed date. Not to disturb the tenant’s use and enjoyment of the property (e.g. the landlord may not enter the property without the tenant’s permission unless it is reasonably necessary to do so). To ensure that all plumbing is working, and to maintain the exterior of the property in a good state of repair (e.g. the roof). To fulfil all other obligations set out in the lease agreement. To make sure that the rent is paid timeously and in the agreed manner. Thus if a lease agreement states that the rental is R2000 per month and must be paid by the 7th day of each month, then the tenant cannot pay anything less than R2000 or later than 7th. To ensure that s/he takes good care of the leased property and maintains it in a good condition. The tenant must treat the leased property as s/he would treat his/her own property. To return the property to the landlord / landlady in the same condition as it was in when the tenant received it. WHAT IF ONE OF THE PARTIES BREACHES THE AGREEMENT? If the landlord or tenant breaches the agreement, the aggrieved party should first try to resolve the issue in a friendly manner (e.g. the tenant should ask the landlord to have the leaking roof repaired). If the landlord fails to fix the problem within a reasonable period, then the tenant must approach attorneys who will demand that the landlord make the necessary repairs, or may cancel the agreement if the property is not habitable, and may claim any further damages suffered (e.g. furniture damaged from leaking roof). CAN THE LANDLORD EVICT THE TENANT? If the tenant fails to comply with his/her obligations in terms of the lease agreement (e.g. fails to pay rental), the landlord can take legal steps to evict the tenant, but may not do so without a court order. The landlord will need to approach an attorney to assist with eviction proceedings. The attorney will first send to the tenant a letter to cancel the lease agreement, and if the tenant fails to vacate the premises, the attorney will make an application to court to have the tenant evicted in terms of the Prevention of Illegal eviction from and Unlawful Occupation of Land Act 19 of 1998. A notice of motion and supporting affidavit will be prepared and served on the tenant by the Sheriff of the court. Should the tenant wish to oppose the application, s/he will have to file opposing papers with the assistance of an attorney. If the tenant fails to oppose the application, the court will view the matter as unopposed, and the court will likely grant the eviction order in favour of the landlord. There are many underprivileged people in Grahamstown who have a very limited understanding of the law in relation to land and housing, including the law relating to lease agreements. Many people suffer great loss as a result of ignorance of the points made in this article. It is for this reason that the Law Clinic seeks to empower people with a better understanding of these laws and their legal rights to enable them to better manage their affairs in relation to land and housing. 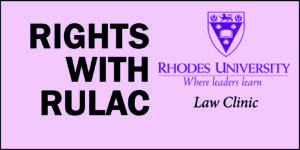 The Rhodes University Law Clinic strives to improve access to justice through the provision of free legal services to underprivileged people in most areas of law. In addition to its New Street offices, Law Clinic staff are available to clients at the Assumption Development Centre (Konongendi), Nceme Street, Joza, every Thursday from 9am-midday. The Law Clinic also provides regular workshops on a wide range of topics in order to raise awareness of people’s rights. The workshops are conducted by staff of the Rhodes University Law Clinic at the Assumption Development Centre, Nceme Street, Joza. For more details, please contact the Assumption Development Centre (Konongendi) or the Rhodes Law Clinic: Rhodes University Law Clinic, 41 New Street, Grahamstown.